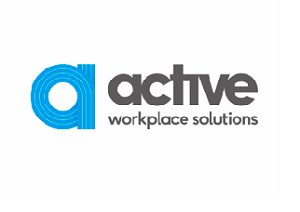 Active Workplace Solutions, formerly known as Active FM, has refreshed its brand image and changed its official trading name, in order to be more aligned with the services it currently delivers. The name change comes as a strategic move towards providing bespoke facilities management (FM) solutions in the workplace. First established as a moving and transformation company, Active Workplace Solutions has been continuously developing alongside their clients and therefore is now offering new and developed services lines. These include; workplace solutions, involving: design, build, furnish, move, sustainable clearances, and storage services. Managed services, comprising of: bespoke facilities management, managed office, helpdesk, ‘fixIt’ and IT services. The company has also devised a ‘Simple, Quick, Affordable’ (SQA) offering - made up of cost friendly furniture and interiors packages – this is due to be officially launched next year.